This memorial pays tribute to 3,458 Medal of Honor recipients representing 15 different conflicts. 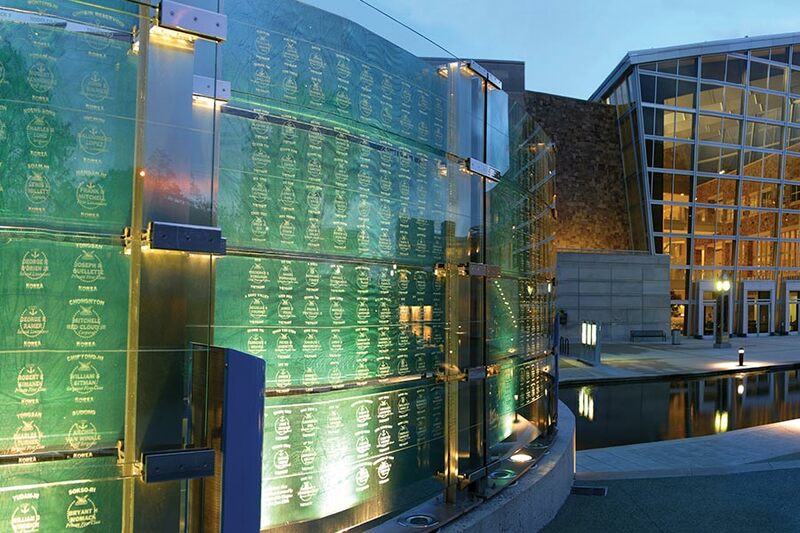 A series of 27 curved glass walls is etched with the names of all recipients, their branch of service and the locations of their heroic actions. EVERY DAY AT DUSK, the Medal of Honor Memorial plays recorded stories of medal recipients or of the conflicts in which they fought. 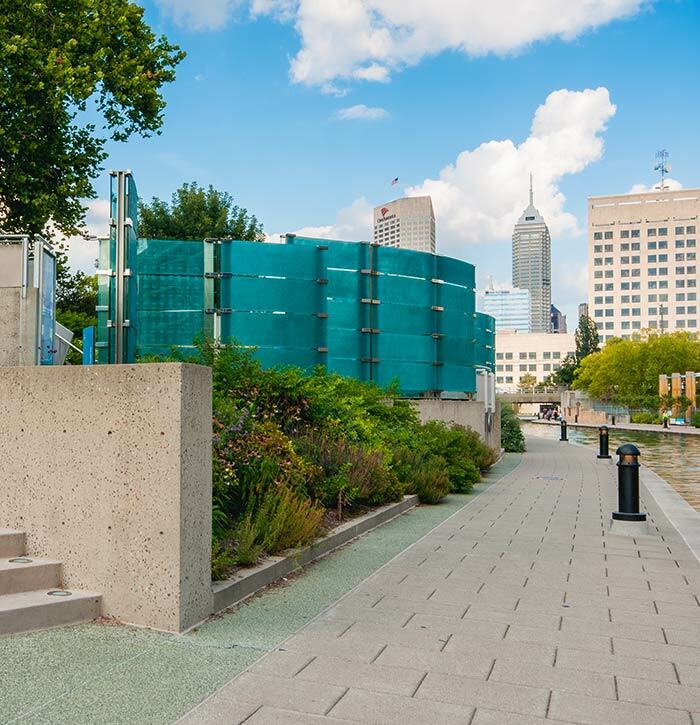 Located in White River State Park along the canal behind the Indiana State Museum, this is the nation’s only memorial honoring Medal of Honor recipients, the country’s highest award for military valor. 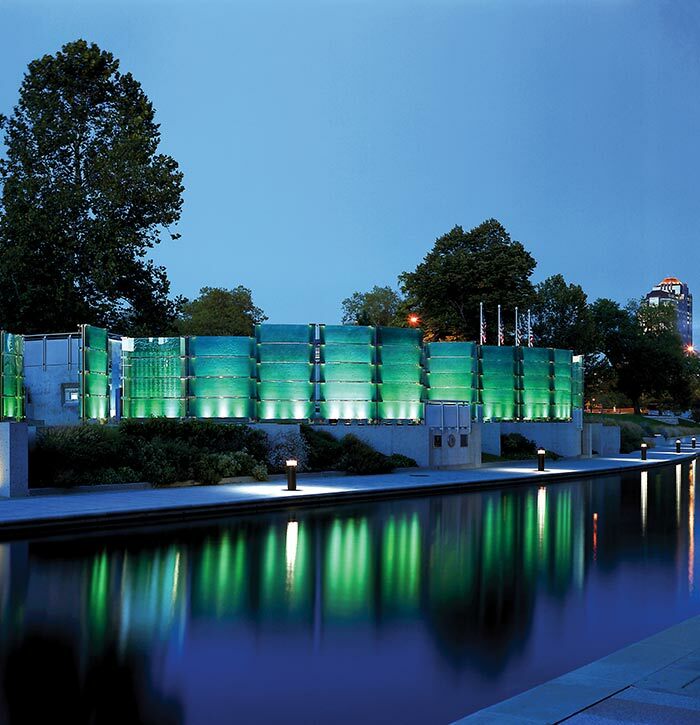 The memorial was designed by Eric Fulford and Anne Reed of Ninebark Studios. 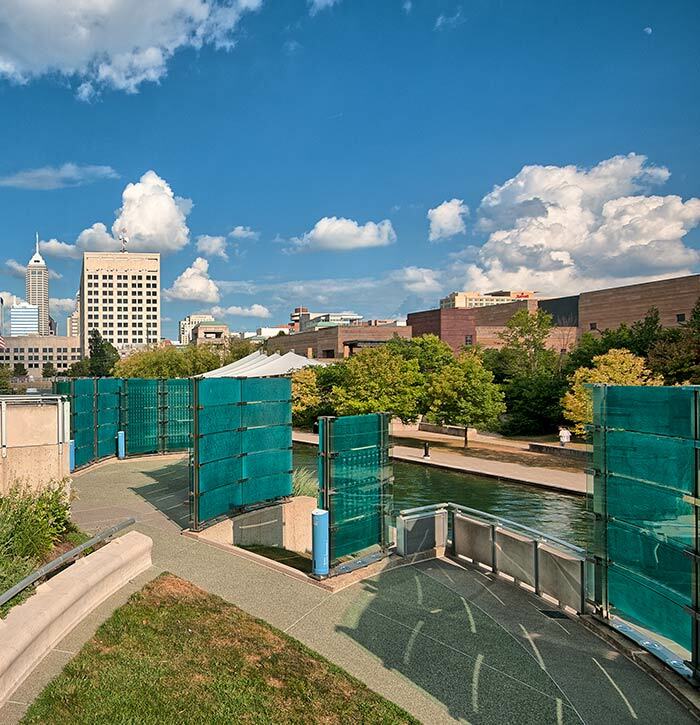 The curved glass walls each stand 7 to 10 feet high and are grouped by conflict dating back to the Civil War. A motion-activated audio system plays a 30-minute narrative highlighting some of the courageous acts of bravery when the monument is approached. The memorial is adjacent to Military Park, which once served as a Civil War encampment and a training field.